Founded in 1992, Softpro Computers, has been training some of the largest Multi National Companies of India. Softpro is an Internationally reputed Computer Training Institute of Mumbai, with over 15,000 student base and 20 years of reputation for imparting Quality Education. We aim to provide World Class Learning Environment in Latest Software & Hardware Courses. We are proud to have one of the best set-ups in the Industry with a strength of over 25 State of the Art Computers. Quality Education Since Last 20 Years ! We offer Fast-Track Courses to students who wish to complete their learning in a short period. We have High Emphasis on Projects and Live Assignments. Printed Notes & Certificates issued. Our course is 100% practical, specially designed by our website designing experts and trainers who have pooled in years of expertise and specialized know how to bring you a course that’s guaranteed to make you Website Designing Professional. It's true that Web Designing as a career offers a gold-mine of opportunities with limited skills and negligible financial investment on your side. Now scenario for web designing has totally changed. Users want more dynamic and creative things from the designers. We are creating the best professionals with our well structured course modules. All our faculty experts have experience in various web platforms and provide you the in-depth knowledge of the subject. We provide Practical training for all the concepts you learn, so it becomes easy for you to understand the concepts and apply the concepts in real time. Very good class to learn web design andTiming flexibility is awesome. Good Experience!! Me and my husband did Wordpress and Photoshop with one of the faculty at softpro. All topics and modules were covered. Thanks a lot!! 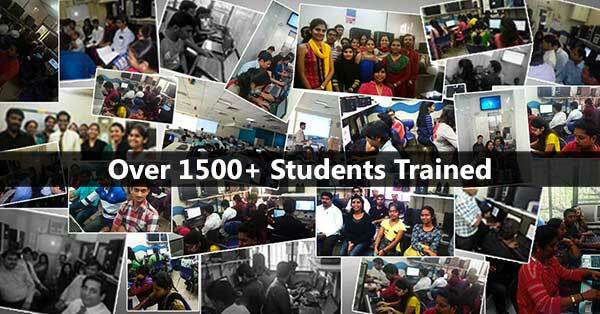 I have done web designing course from this institute and i had good experience learning in the morning batch. I am doing my web designing course from softpro computer education matunga.i am very glad to experience in the softpro institute.i must say Adinath sir I have excellent knowledge about web designing..The best part about Softpro is u will getting flexible course timings. I would suggest it to all for joining this institute.